The Kannada music scene lost a giant in C Ashwath, who passed away on Tuesday at a private hospital in Rajajinagar in Bengaluru. He was suffering from a prolonged illness, due to liver and kidney failure. Ironically, December 29 was his 71st birthday, and his fans and well wishers were organising a musical event to wish him a speedy recovery. Two volumes of his songs and his biography were to be released, and Ashwath wanted to felicitate some singers as well. He composed music for nearly 28 Kannada films and was hugely popular as a singer and composer. Director Nagabharana's Shishunaaala Sheriff was Ashwath's first film as a music director. He also provided the background score and music for more than 35 plays including the popular Kakana Kote, written by Jnanpith award winner Dr Masti Venkatesha Iyengar and Hayavadana, written by another Jnanpith award winner, Dr Girish Karnad. Ashwath had also written books on music. The Kannada music industry was stunned by the news of his death, and scores of his fans visited his home in N R Colony in Bengaluru. His body was taken to the Bayalu Rangamandira, near the famous Ravindra Kalakshetra, where many politicians, literary, film and theatre personalities paid their last respects. 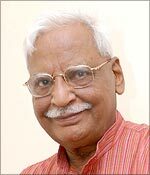 Professor Chandrashekhara Kambar, former vice chancellor of Hampi University and a well known Kannada poet, said Ashwath's death was "certainly a big loss to the Kannada literary and musical world. It was only through C Ashwath's magical music that many great poems written by renowned Kannada poets became popular. His death will create a big void in Kannada music." Singer Pallavi, who was behind organising the event to celebrate Ashwath's 71st birthday, said he was an inspiration to many young singers and his achievements spoke volumes about his dedication, commitment and hard work. Kannada actor and producer Raghavendra Raj Kumar remembered the close relationship his late father and Kannada movie icon Dr Raj Kumar had with the departed musical genius. "If there is one singer who had a great range and variety in his music, it was certainly C Ashwath," Kumar said. "He was really an excellent singer who entertained the music lovers. It would be difficult to find an exceptional talent like C Ashwath."